Guess what? I have reached 1000 views! I can't believe it! Everyone has been a great help, and be sure to keep viewing my blog so you can help me reach the next landmark: 5000 views. When I was in Kindergarten, I wanted to have my own website. So my dad got me started on Microsoft's blog program. I later became bored from it, and decided not to do it. When I was in the third grade, I decided to create my own blog. So my dad got me started on Squidoo (Now a part of HubPages) and he decided to call it This and That, Here and There. It had only 30 views It's address was squidoo.com/arcasblog. Note: That is not a working link anymore. That Summer, I found out that HubPages had invaded Squidoo's homepage and was buying it. So all Squidoo blogs were automatically deleted and started on HubPages. I was still upset about it when I started 4th grade. Since I was really upset about it, my dad got me started on Blogger under the name "Arca's Blog". At first, I had 60 views. But then it kept on increasing, and increasing. That's when I got 150. I kept giving the address away, and advertising it. Soon, I was at 300 views. That's when I started blogging more frequently. Every week, I would write at least two posts. I went to my blog's setting, and added a toolbar to the side, which includes messages, a search bar, a scoreboard for all my views, and much more useful tools and links. Later, my my views doubled. By winter break, I was at 600 views. I started writing about more popular subjects, like Minecraft. Sometimes, when I tried to change the graphics, it wouldn't work. 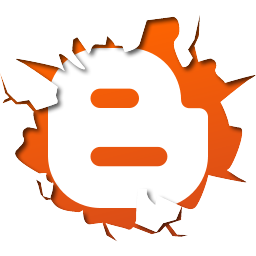 I created some new blogs, such as the Origami Ackbar Family Blog and the Billy Bob Blog. I made some holiday-themed origami models to add to the script I was posting on the Origami Ackbar Blog. I later started the Digital Photo Dojo. A few weeks after the break was over, I was at 800. I started spreading the news about the Billy Bob Blog. 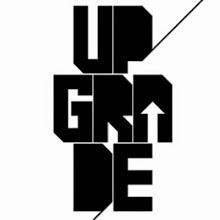 Starting this month, February, I added some upgrades to my blog and changed the code to make it more cooler. Now, I have made the leap from 950 to 1000. That's right. 1000 views! So as a gift, my dad ordered me a new drawing stylus for my iPad mini to make it easier to draw with. When I upgraded my blog,I changed the favicon, logo, and background. I also changed the code to get a Angry Bird cursor for my blog. But I later stopped when I accidentally added a "Back to Top" button that doesn't work. My blog doesn't show that anymore. Be sure to like, subscribe, and stay tuned for more posts on This and That, Here and There. Help me reach 5000 views! You can view this blog daily. Bye!